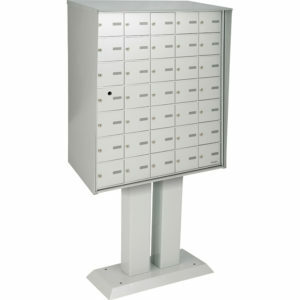 The delivery personnel can acces the compartments using a master lock located in the front of the mailbox. Also, the compartments are individually locked and keyed differently. This design is ideal for exterior use. 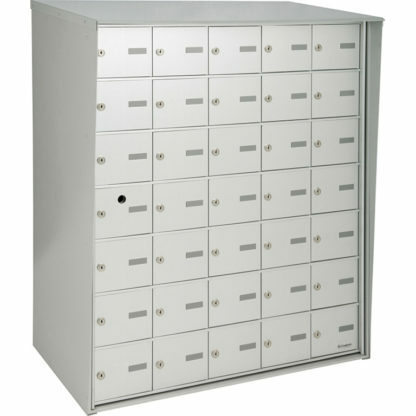 One compartment is dedicated to the master lock installation, master lock is provided by Canada Post. The delivery personnel can access the compartments using a master lock located in the front of the mailbox. Also, the compartments are individually locked and keyed differently. 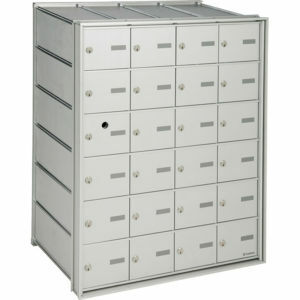 This model is placed on a pedestal and is ideal for exterior use.